Ruud, Eeuwig Moes, perennial kale. Reade Krobbe, dry bean. Wieringer Boon Bean. Carli Ston Mild, pepper. Mystery Tomato, Terhune tomato. White Zebra Tomato. Robert_B, Ragged Jack kale, Major Cook’s Bean, Cosse Violette bean, Trail of Tears bean and Mrs Fortune’s bean. Poolcue, Riesentraube tomatoes and Black Hungarian chilli peppers. Galina: ‘Dwarf Grey Sugar’ pea, ‘Elisabeth Pea’, ‘Parsley Pea’, Lettuce ‘Lattughino Biondo Ricciolino di Trieste’, Broad Bean ‘Oldambster Wierboon’. ‘North Carolina Long Speckled Greasy Cut-Short’ Bean and ‘Georgian number 2’ Dwarf French Bean. ‘Kool’s Langstro Rozijn Erwt’, ‘Opal Creek’ and ‘Spring Blush’ peas. ‘Alma Paprika csipös’ pepper. Ground Cherry ‘Cossack Pineapple’. Tomato ‘Black Icicle’ (seed saving shared with Jayb). ‘Greek Cress’. Markfield rover: Old Homestead ” pea, ” Queen of Hearts” tomato, MR Brooks Blue cfb. Martinburo: Scorzonera, Florence fennel.Dandytown: AG pumpkin, Beetle Beans (Kaferbohnen), Kodu/Lou, Dugi/Dhata/Denga, Green King cucumber. Jayb: Black Pod runner bean, Bay Tree, TPS, Tamra cucumber, Baun onion, Giant Yellow Tomatillo. Betimes Macbeth, Blush, Helsing Junction Blue tomatoes.Debs: Red pear (cherry tomato dating back to 1700’s). Aj: Dobbie’s Purple Beetroot, Redlands Greenleaf dwarf bean, Flavert dwarf bean, Aranyalma tomato. Jeannine, very kindly sent us seeds to enjoy and share; Soya beans- Black Jet, Tohya and Butterbean. Lima Bean – Henderson and Fordhook242. Chilli – Pretty in Purple Filius Blue and Pepperdew. Tomato – Madame Jardel’s Black and great White. Sweet Pepper Yankee Bell. Minature White Cucumber, Small selection of corn. Kaulion Valkea (Kaulion’s White) – This is Finnish landrace broad bean from Savitaipale (South-Eastern Finland). 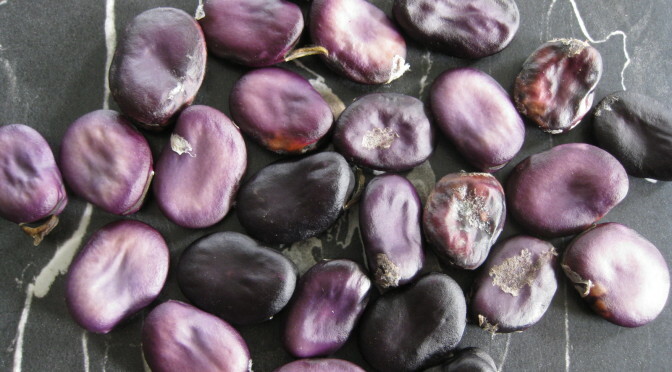 Bean seeds are small and pale, occasional purple one may ‘pop up’. Paler coloured ones have milder flavour and although some selection is gone towards keeping colour pure, it is not 100% stable. I did grow few purple seeds separate in greenhouse, but all seeds from those plants were ‘white’. The plants grow about 70-100 cm tall and are said to very frost tolerant. I’ve only grown these from late spring onwards so cannot comment any further about hardiness, but coming from Finland, their ‘frost’ is UK ‘FREEZING COLD! So should be able to take our weather. Fresh beans are used as traditionally in UK, but in Finland they also use them same as dried peas, soaked overnight, rapid boiled and the simmered soft to make bean soup or used in other foods. Oldambster Wierboon – This Dutch landrace broad bean has been given to me by Jaap Vlaming, a Dutch seedsaver who is very active in keeping traditional Dutch vegetable varieties in circulation. This variety is fairly compact and needs minimal staking. 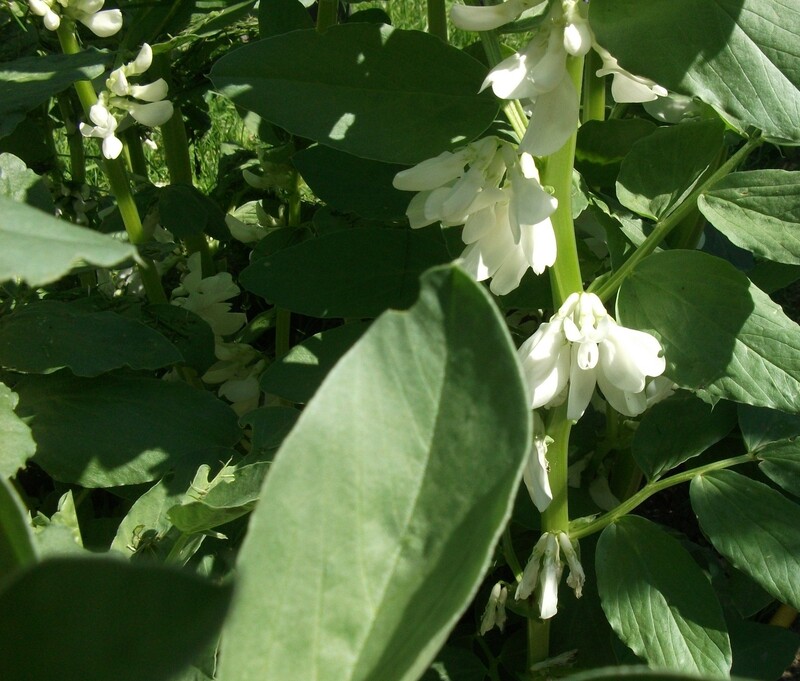 It has pure white fragrant flowers, which produce pods of 4, max 5 delicious nutty bean seeds. Whilst there are fewer seeds in the pods than modern longpod varieties, most nodes produce 2, 3 and even 4 pods. Also most plants branch at the base and appreciate a bit more growing room. The yield is high and spaced over many weeks. Last pods for eating were harvested mid-August, long after the first black, dry pods for seed had been collected. 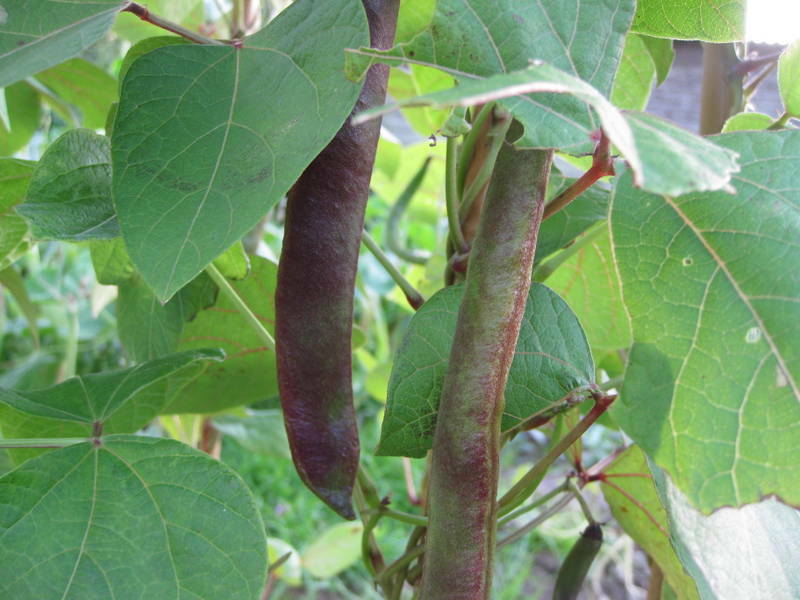 Climbing French Beans (phaseolus vulgaris)Cosse Violette – Purple podded climbing bean. Very reliable, very prolific. 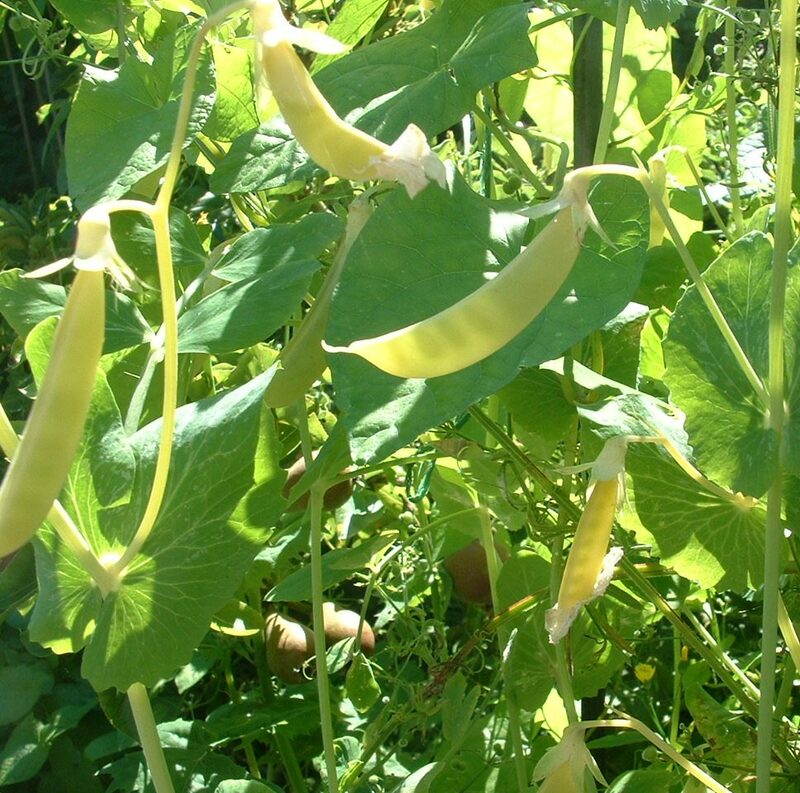 Major Cook’s Bean – A climber and prolific, can be used either for pods or for dried beans. Mrs Fortune’s Climbing Bean – Didn’t do much for me this year, but usually reliable. Can be used either for pods or dried beans. I couldn’t include as many beans as I’d have liked as I didn’t have that many. 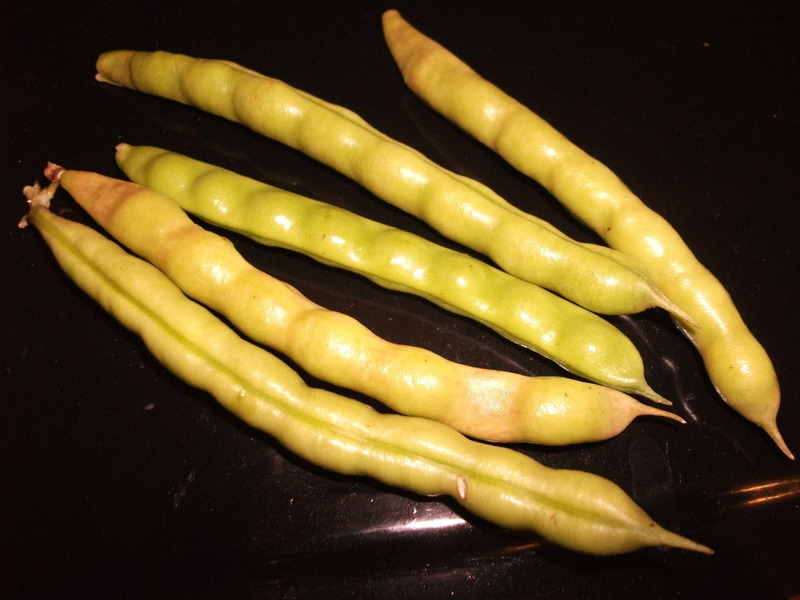 North Carolina Long Speckled Greasy Cut-Short – This is a climbing French bean from the USA. The ‘greasy’ mutation originated in the Appalachian mountain area and stayed virtually unknown outside this area until very recently. ‘Greasy’ means not actually greasy, but the pods look shiny, because they don’t have the ‘hairs’ on them that ordinary bean pods have. Most Greasy beans are late here, but this one is early and well adapted to UK growing. It produces from late August to first frost. The name is a mouthful, but is just a description. Most greasy beans are short, this one is quite long. 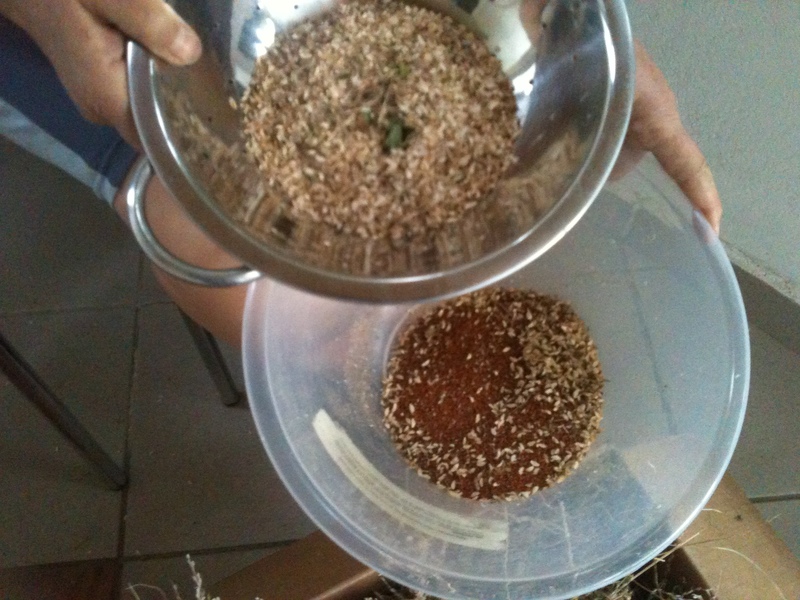 The seeds are light brown speckled with dark brown swirls. Cut-short refers to the beans inside the pods which are pushed up against each other and therefore squared off at the ends. All greasy beans are old varieties and have a strong string which comes off very easily. They are meant to be eaten when the beans inside have already developed. Flavour-wise they are both a green bean and a chestnutty bean seed together, strong bean taste and quite delicious. We tend to eat either green beans or bean seeds, but this gives both in one. The pods stay good to eat for a very long time. They freeze well too. 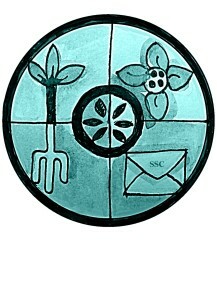 My seed source was Bill Best from SMAC, the Sustainable Mountain Agriculture Center in the USA. 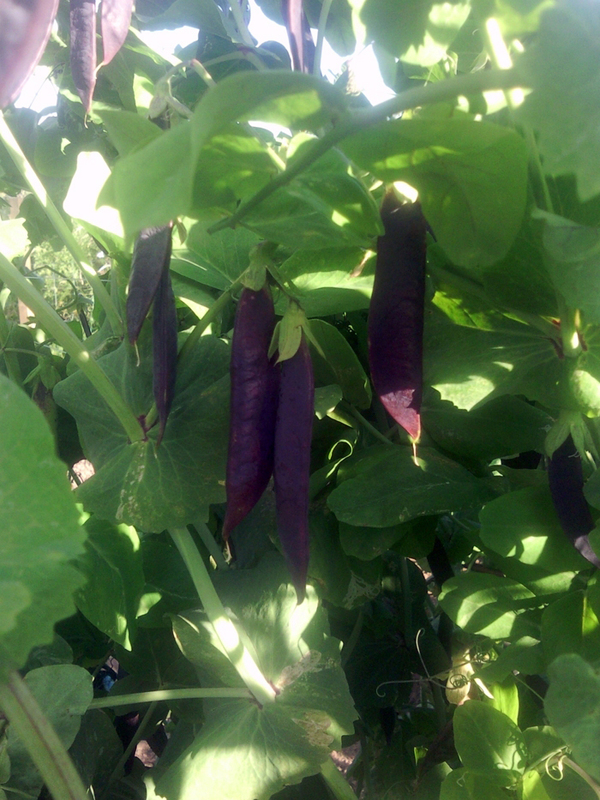 Trail of Tears Bean – Climber, old Native American variety. Very reliable; abundant thin green pods and small black beans. 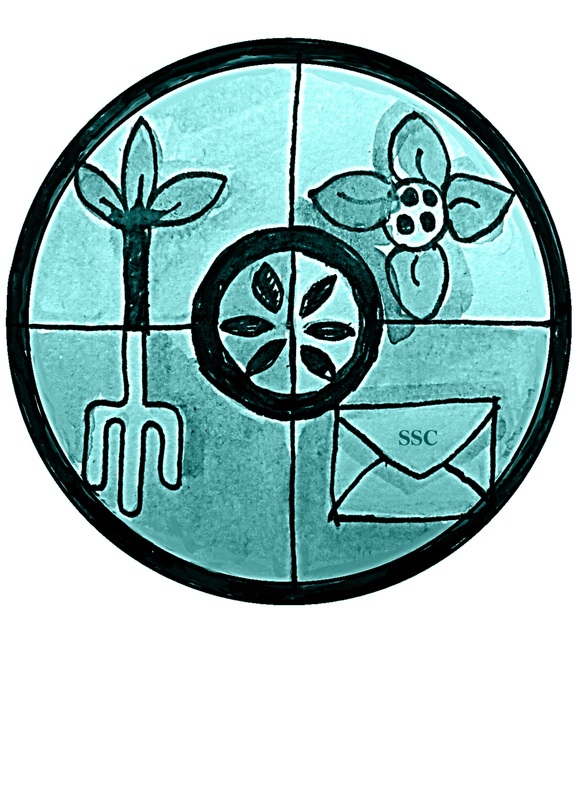 Georgian #2 – My original seed donor, the Dutch seedsaver Jaap Vlaming, asked an acquaintance from the Republic of Georgia for traditional Georgian bean seeds. To his amazement and delight, he received 40 different little packages of bean seeds, some with several varieties inside – none were named. This bean was from package number 2. A dwarf French bean with very large red and white seeds. Best for shelling fresh, when the seeds are mature, or for drying. These beans make an excellent bean salad in a vinaigrette and with finely chopped shallots, but they are equally good added to winter stews. 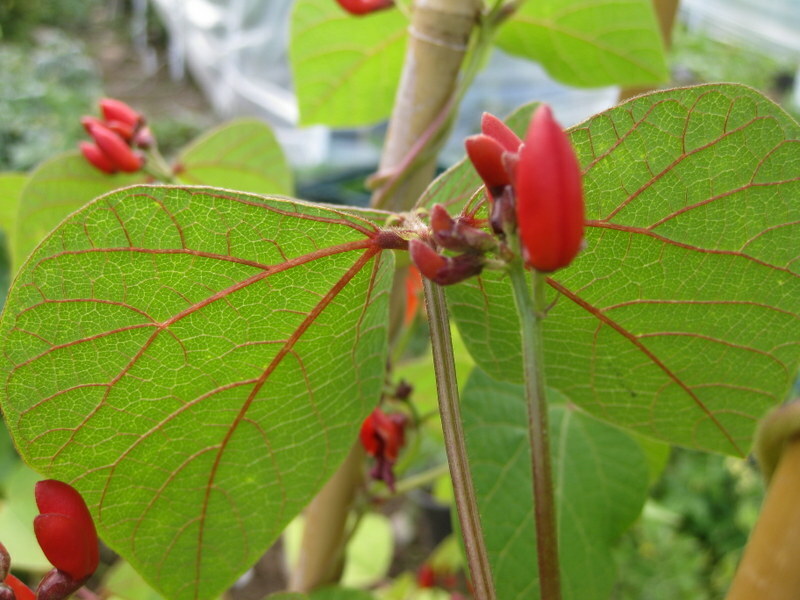 Redlands Greenleaf – I believe a variety sourced from Heritage Seed Library. Wieringer Boon – A very old Dutch dry-bean lost in Holland but found in the States and brought back to Holland. 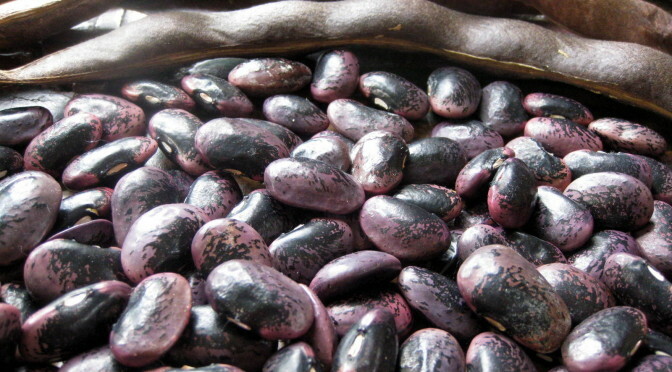 Black Pod – A variety held and shared by the Heritage Seed Library. This is a lovely runner bean, easy to grow and beautiful to look at, producing a large crop of medium length beans. As with many runners, best picked and eaten while still young or it gets stringy. The beautiful red-black pods colour increases as the pods age. 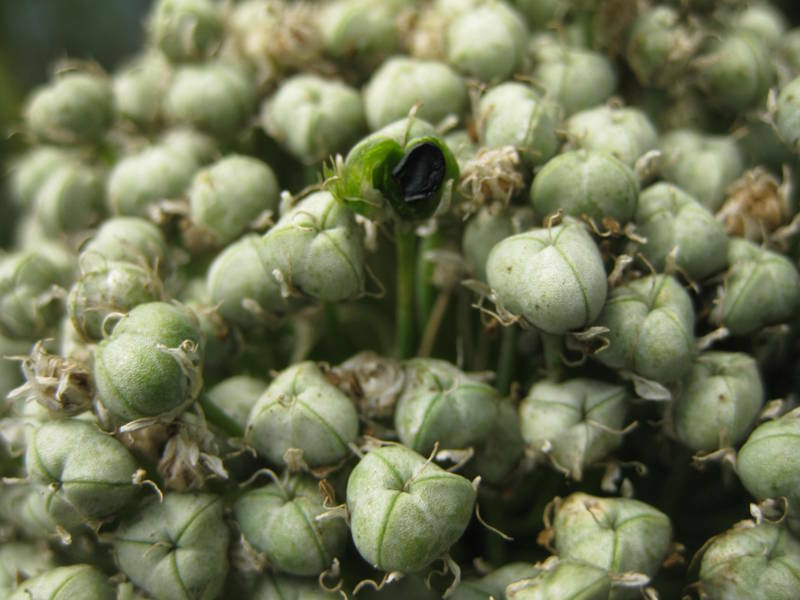 Eeuwig Moes (Brassica oleracea var ramosa) – This is a perennial kale, a very old Dutch heirloom, dating back to 1800’s and some suggest maybe even as far back as the Roman era. Grows 3-4′ high with dark green leaves which can be harvested year round, young leaves are good as a spring type cabbage early in the season. Grow in full sun, although will tolerate some shade and can be grown from seed or cuttings. Ragged Jack Kale – An old UK variety which looks very like Red Russian. Plant small plants one and a half to two feet apart. This is the first time I’ve saved brassica seed, but I didn’t notice any flowering on other peoples’ plots, so it should come true. 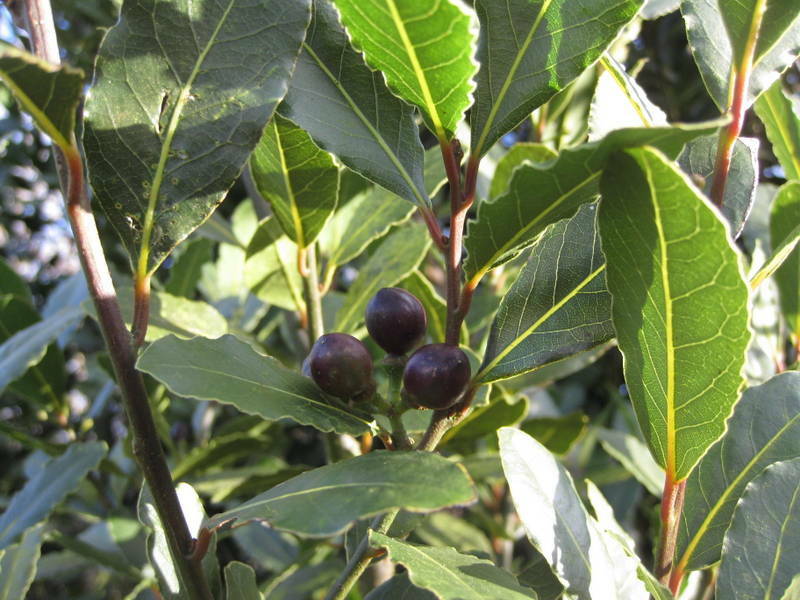 Bay Tree (Laurus nobilis) – An attractive evergreen shrub, I’ve found it easy to grow and trouble free, so far my tree has been winter in SW Wales, but maybe not fully hardy in all areas. These can be grown in pots and shaped. I believe a male and female tree is needed for pollination, although I’ve only a female and it sets seeds well enough. Seeds ripen late winter and need to be sown fresh, I’ve had good results from sowing seeds whole and those with the outer skin removed. They germinate in late spring. 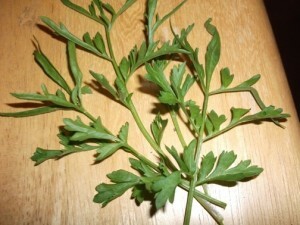 The leaves may be used fresh or dried in cooking, giving a lovely flavour to soups, casseroles and sauces. Greek Cress – Finely divided leaves, a very decorative cress and easy to grow. Copes well with low light levels and low temperatures over winter in the greenhouse or under cloches. Can take quite a bit of frost. One of the staples of my winter garden. I shared seeds and was asked, ‘can this be grown on the windowsill?’ I had to try it and yes, very easy, on a thin layer of potting compost or on a folded kitchen towel in a small recycled plastic tray or plastic cup. Naturally this cress can be sown in spring too, but runs to seed quickly when the weather gets hot. My original seeds came from the first ever seed swap at HDRA (now GO). Ground Cherry (physalis pruinosa) Cossack Pineapple – This is a solanum and somewhat similar to the more familiar ‘Cape Gooseberry’ available in supermarkets. The cherry sized fruits are also in papery husks. 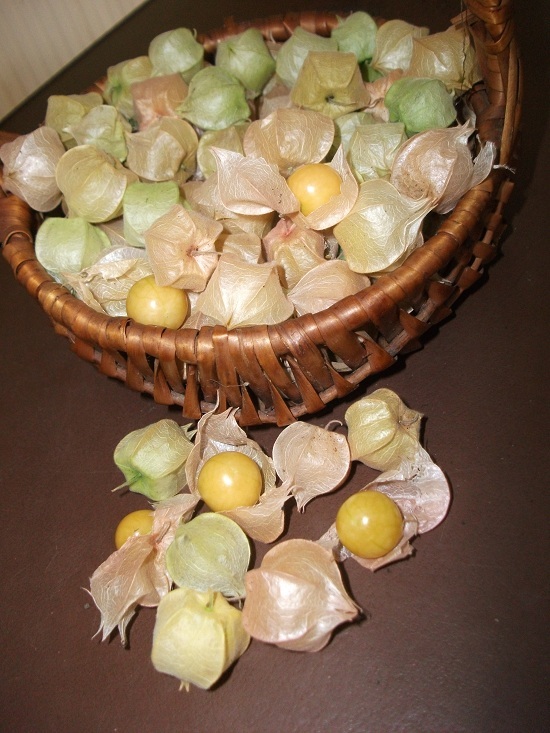 But the ground cherry has smaller plants and smaller, yellow fruits with slightly translucent skin. And it is much easier to grow. I grow them just like greenhouse tomatoes, but they could be grown under a large cloche or in a sheltered position outside. They are much smaller than tomatoes, more the size of pepper plants, therefore suitable for growing in pots. Although they are solanums, I have never seen blight on them. I sow them indoors and transplant after last frost, same as tomatoes. The plants will grow to 3-4ft tall and produce pretty yellow flowers, which turn into ‘lanterns’, first green, later papery. When they are papery, the fruit inside turns yellow. Ripe fruits fall off the plants with their lanterns. They can be stored in a basket for a couple of months. The fruits ripen over a few months from late August to frost. Their flavour is somewhat akin to pineapple, very pleasant ‘tropical’. Seeds are very small. Lattughino Biondo Ricciolino di Trieste – This variety has been stored in the Gatersleben seedbank since 1990 when it was acquired from Italy. Its code is Italien 1990:Z29. Don’t know who ‘liberated’ it from there. My donor was Melanie Inangelo from Maine in the USA. 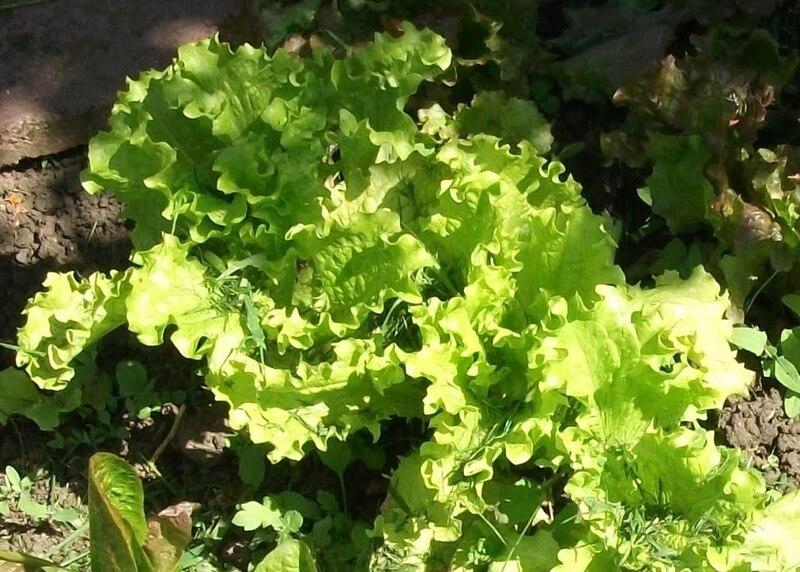 It is a loose leaf lettuce with light green somewhat ruffly leaves and good flavour. The longwinded name is just a description: ‘lattughino biondo’ means it is a white seeded lettuce, ‘ricciolino’ means ‘curly’ and it is originating from Triest. This lettuce does not bolt too quickly and grows quite tall. The picture shows a couple of young plants. Lattughino Biondo Ricciolino di Trieste – Lovely young leaves. Blauwschokker – Here’s a really nice pea with short, sweet and numerous pods of an eye-catching, and even novelty, blue colour. Eat them raw when young and sweet or save them for winter. Both nice. They dry well on the plant and the colour, of course, helps you to find them. It grows to six-foot(+) with plenty of pretty Pink-Purple flowers. 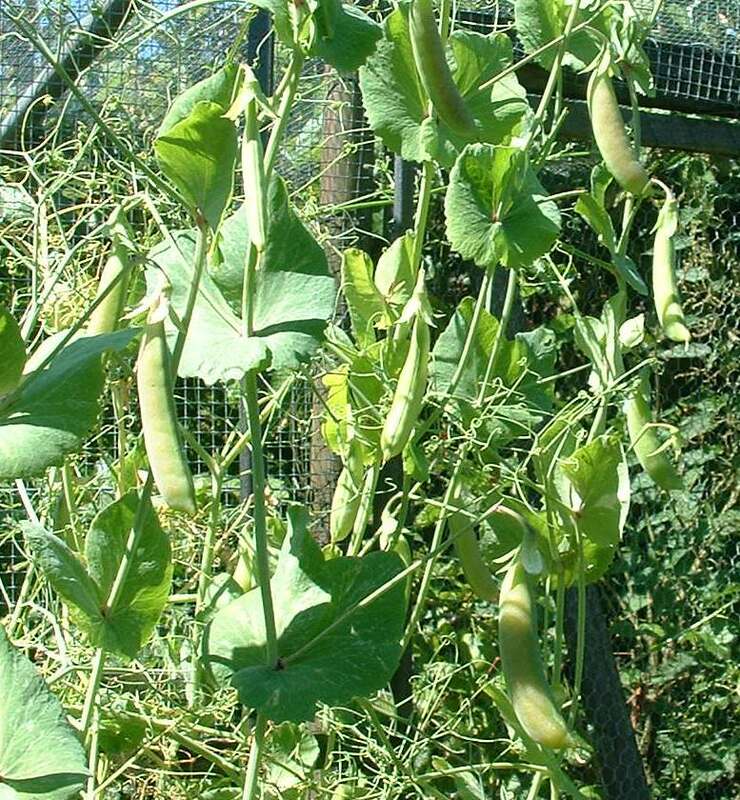 Dwarf Grey Sugar – This is a small mangetout pea with short, sweet and numerous pods. Produces lots if picked frequently. However, the plants are not particularly dwarf and definitely benefit from pea sticks. About 4 foot tall. Purple flowered. My donor was Melanie Inangelo from Maine, USA. ‘Eat Me’ Mangetout – (Sorry, no pictures) These were given to me by a friend on our allotments. Steve, the owner of the local Chinese Take-Away, gave me some of these his wife had sent over from Hong Kong, to try. Apparently, and Steve’s English is far better than my Chinese or Cantonese, they are from his wife’s mothers’ plot in Hong Kong. Other than that, they are big, juicy, almost translucent pods that are so full of sweet juicy flavour it would almost be wrong to cook them. They are nearly the equivalent of a small drink and I’m sure kids will love them as a way of curbing their thirst on those lengthening, hot, early summer days…. Enjoy. Needs 4-6ft supports. 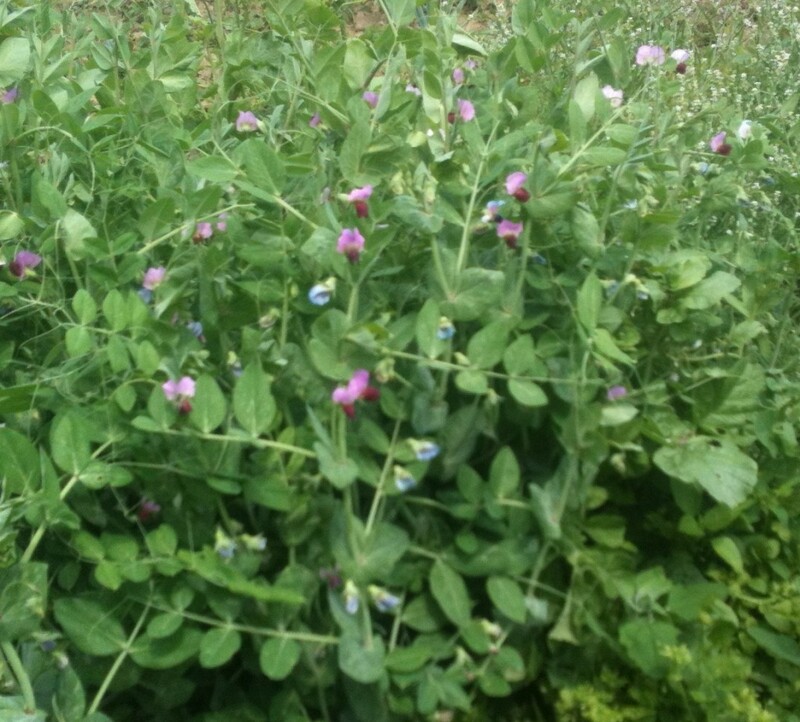 Elisabeth Pea – This is a mangetout pea from Switzerland which Elisabeth (my mother) bought. She shared her packet with me. One of the pea flower pairs on my plants had mutated to pink and white. The others were all purple. I marked the pink pair of flowers and grew the seeds separately. The plants are just like the original variety in every respect, with the exception of the flower colour, which has remained pink. They are not fasciated like the Salmon Flowered we received last year. 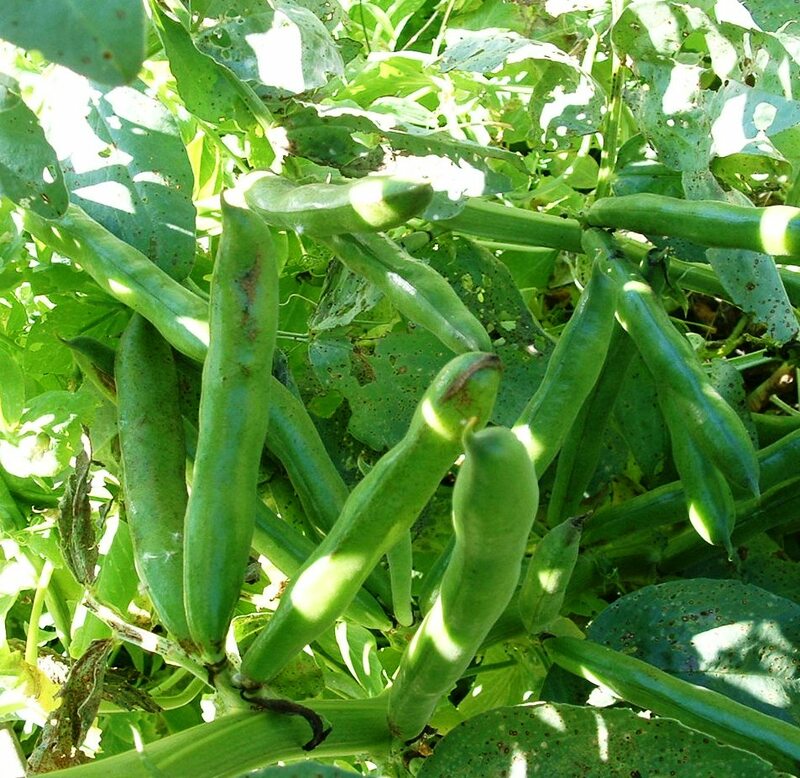 This mangetout pea is still producing now (late August) from a February sowing. The pods are up to 2 inches long, shorter later in the season and very prolific. Plants are around the 5ft mark, a bit taller this year with all the rain in spring and early summer. A little development on this pea. I shared some seeds with Jayb and she grew them too both last year and this. This year she either had a further mutation or perhaps it was due to the weather, but there were different flower colours. 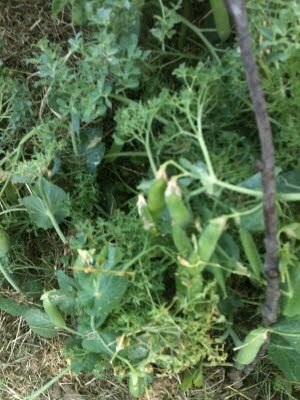 I grew two big wigwams and all my pea flowers were like the ones in the picture above and have been like this for the last few years. The photo below shows a variant and normal flower colour in Jayb’s garden side by side. We have yet to see what the seeds from these variants will do next year. 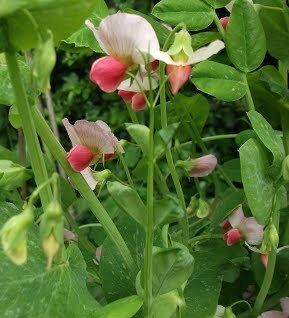 Of course I had to follow up on the redder pink flowered Elisabeth pea as well as the batch from the whitish flower during 2015 and both had reverted to the usual pink colour. We are coming to the conclusion that the pink flowers are a stable trait, but the colour can very occasionally be expressed as a slightly darker pink or as a near white pink, probably due to environmental conditions. In 2015 I finally saw a whitish flower in my garden too. Not from pea Elisabeth itself, but from a new snap pea variety that Jayb had bred with Elisabeth in the parentage. 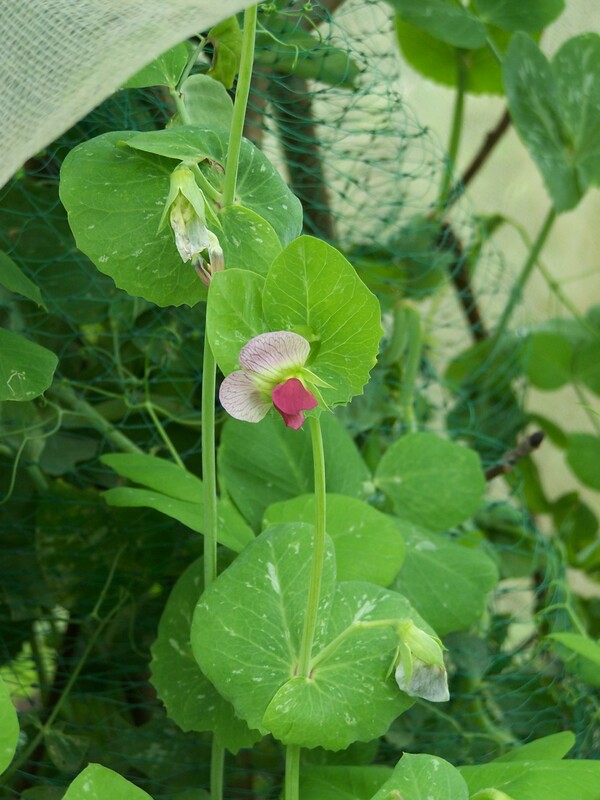 Kool’s Langstro Rozijn Erwt – This is a tall shelling pea with numerous pods containing huge green non-sweet peas. Fresh shelled they are more like broad beans than peas. But they can also be dried. The dried peas turn brown like raisins. This variety was bred/improved by Mr Kool in The Netherlands and grown commercially up to the 1950s. The name translates to Kool’s long vined raisin pea. I received this Dutch heirloom variety from Jaap Vlaming, a Dutch heirloom seedsaver. 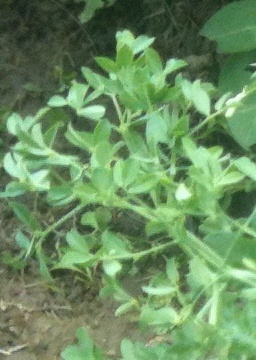 This pea needs good support because it grows 6ft plus, but yields a large harvest. Luang Prabang mangetout – I got the seeds from other HSL member (Adam Alexander) who writes about this variety “Found in a market in Laos. 1.8m tall variety with beautiful pale purple flowers and green pods. Can be eaten as mange tout, snap peas or when mature” I found this variety best as mangetout, so name the type as such, I’ll leave you to judge it how you like it best. Opal Creek – My seeds came from a swap with the late Dan McMurray. We’ve already had pea Goldensweet in the seed circle and this crescent moon shaped snap pea has been bred from Goldensweet by Alan Kapuler. Tall plants, with numerous peas and very heat tolerant. This pea was quite late here and was one of the last ones to stop producing. A really eye-catching pea and a star performer. And sweeter and tastier than Goldensweet to boot. Yellow pods contrast against the green foliage. Parsley Pea – Original source HSL. 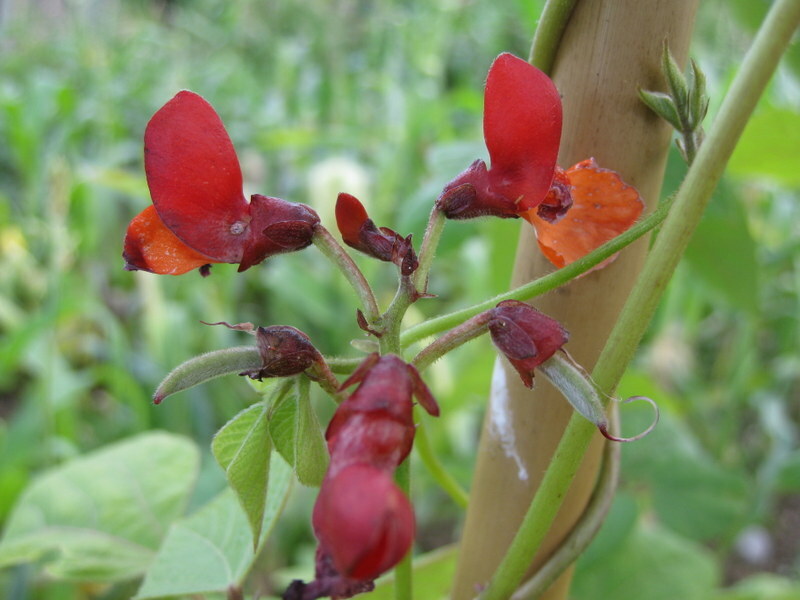 This is a Victorian pea variety, up to 4 ft tall, which has ‘modified tendrils’. This strange tendril mutation looks like clusters of tiny leaves. They were steamed and eaten as an early spring vegetable in Victorian times (still good today with a bit of butter on top). 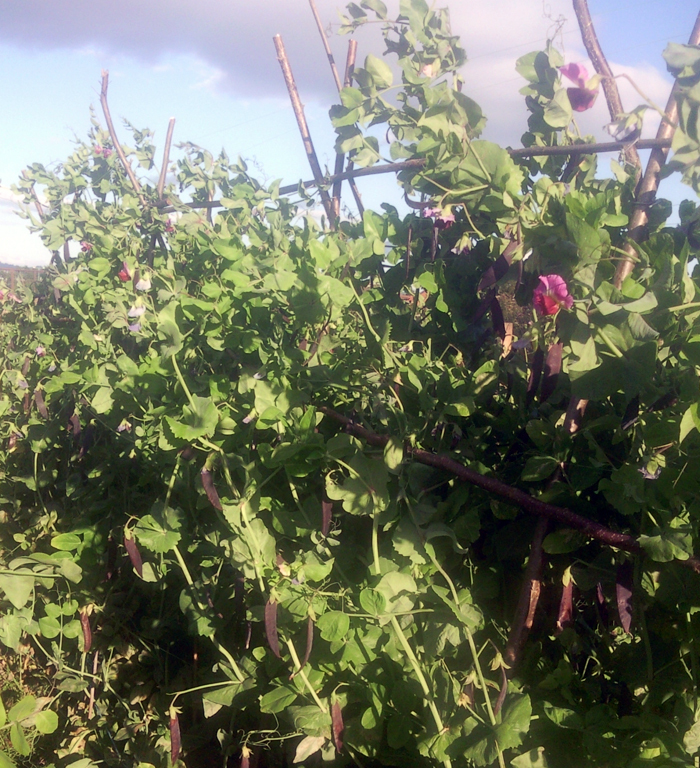 A harvest of sweet shelling peas to follow later. Spring Blush – The famous plant breeder Alan Kapuler used the Parsley Pea (above) and started breeding with it as one parent. Parsley type tendrils crossed with ordinary pea tendrils turned into what he calls ‘hypertendrils’ a mass of tendrils that hold peas together or to a support much better than ordinary pea tendrils. 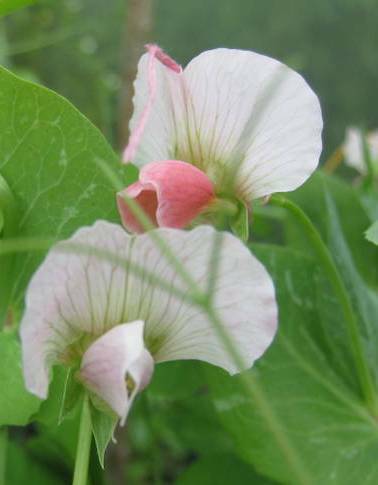 The pea is a fairly big green snap pod pea with a pink hue or blush on the pods. Very nice tasting too and lasts quite well into summer. Usually peas grow in pairs per node, not this one though, but even so the yield is high. It is a very strong growing tall pea, 8ft plus this year. Even at planting out time, the ‘hypertendrils’ are already clearly visible. My seeds came from the late Canadian seedsaver Dan ‘Grunt’ McMurray who has been hugely influential in maintaining and distributing heirlooms and modern heirlooms like this pea. Grungy’s Garden Blog . 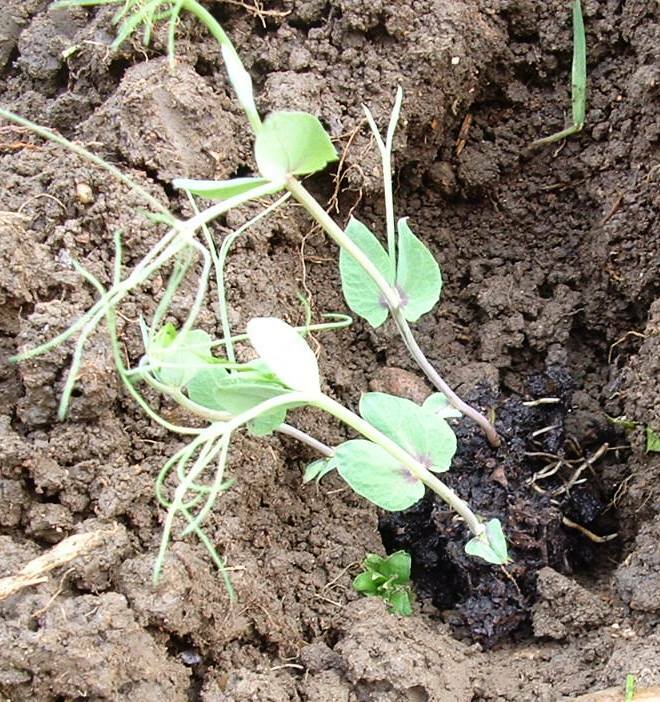 Also an Interesting read about pea breeding and part of a lecture by Alan Kapuler. Swedish Yellow Pea – Traditional variety to make classic yellow pea soup. Plants are fairly short so only minimum of support for the rows should be necessary. The original seed were much larger than those I produced, so I suspect growing conditions this year had something to do with reduced size. Grown from Hungarian seeds, these peppers have done well here in the greenhouse. Round, thick walled, and with only a little bit of heat. Fully ripe they are very sweet and the heat only develops in the mouth a second or two later. For some strange reason, every now and then one pepper is entirely sweet, but the next one on the same plant is hot again. The heat is mild and almost disappears in cooked dishes, which means this one is best as a salad pepper. Perhaps filled with cream cheese Greek style or sliced in a rich mayonaise egg salad. These can be pickled and in Hungary they are also dried and ground to paprika powder. Black Hungarian, These were started on 3rd February in a heated propagator/and were up by 22nd /February where they were relocated to the windowsill.I potted them up on 10th March where they were relocated to the Conservatory.They were potted on to larger pots on 9th June.Then they were basically left until harvesting from October onwards once they had turned reddish.The seed was harvested from a number of fruits and left to dry until the seeds were hard. Scorzonera Long black: Scorzonera is hardy and slow growing, so sow fairly early. It’s also a perennial so the small ones can be left to grow some more next year. Unlike carrots and parsnips, they can even be eaten after they’ve produced seed. Jayb kindly sent me a plant of this variety to try out and I must say, I was impressed with the superb flavour and high yield of this tomato. Very sweet, but at the same time with all the rich earthy flavour nuances of ‘black’ tomatoes. Apparently they weren’t as good as last year due to the grim weather we have had – I can hardly believe that they could taste even better. We are eating the last few at the moment which had been taken in green and ripened on the windowsill – and they are still good. They are a very attractive spindle shape and up to 6 inches long. Tatiana’s tomato base tells us that this tomato has been developed by an Ukrainian amateur breeder, Denis Terentiev. But I cannot agree with her classification as ‘small tomato for cooking purposes’. Here they were quite large and every one was enjoyed as a salad tomato. As my seeds were saved from one plant only, Jayb has kindly suggested we both save seeds. She has added her seeds to the seed packets to give us more diversity for the seed circle. Mystery Tomato, no details given, I guess it could be anything, should be fun! Riesentraube, heart shaped cherry sized tomato.These were slow to get going and were slow to ripen and the taste was nothing spectacular.In a decent growing season they may be worth a try. These were started on the 3rd March and potted on on the 29th March,27th April and relocated outside in mid May.Harvesting commenced in late September. Terhune, a cordon large pink beefsteak tomato, with potato leaf. I’ve not grown this variety but have heard it has fabulous taste. Looking forward to growing this one. White Zebra, Pale yellow/white medium sized round fruit with green stripes that fade as the fruit fully ripens. Cordon variety with regular type leaves, vine will need staking. Crops well and will manage to set some fruit in a cold wet British summer such as this one. You may need to experiment a little when best to eat, some prefer just ripe others fully ripe.